using a Windows Forms Application project in Visual Studio. 3. Click the Add button (Figure 26). a. Declare a Boolean variable named blnLoggedIn. String parameters named username and password. should contain what’s shown in Figure 27.
and password arguments are valid and match. that previous attempts are overwritten. the value in the arrPasswords array. then set the blnLoggedIn variable to the value True. 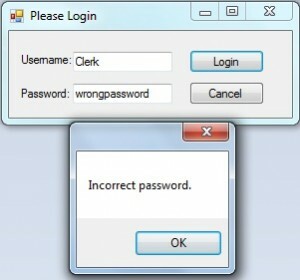 If not, then display an error message box. the VerifyUsername and VerifyPassword functions. 13. Navigate to the btnLogin_Click subroutine. 14. 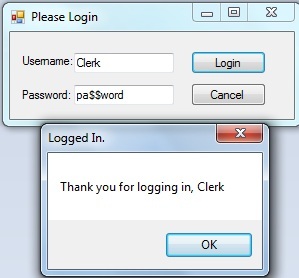 Modify the contents of the btnLogin_Click button. a. Call the Login subroutine in the Main module. you need to change the Dim keyword to Friend. 17. Make sure the application works as intended. your desktop or any other temporary location. Your project will be graded using the following guidelines.